With summer in full swing i’m always looking ways to keep myself cool while still looking great. I’m super self conscious and add in the fact that I’m halfway though my fourth pregnancy doesn’t help much when it comes to my need to feel comfortable. 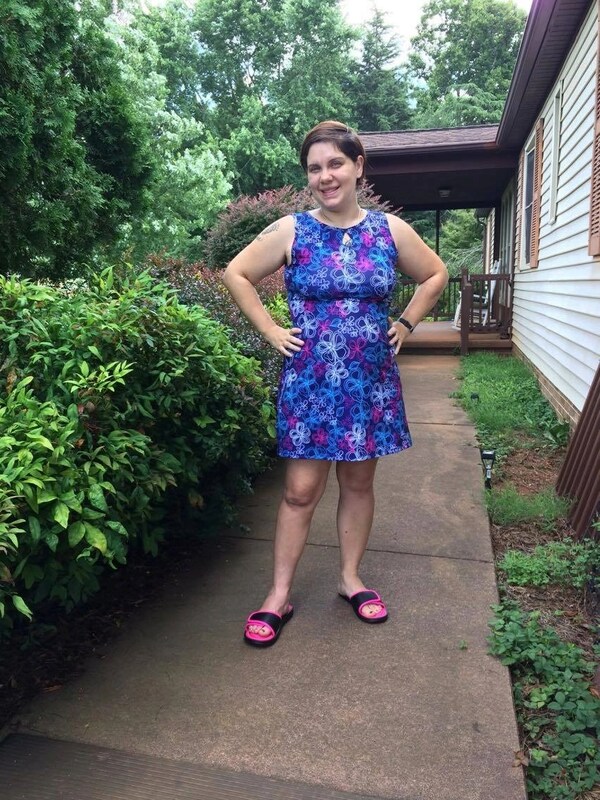 The Nuu-Muu dress line is allowing me to have some fun and fashionable options to feel good and look great! Nuu-Muu offers three different styles: Pocket Dresses, Classic Dresses, and Scoop Neck Dresses. When I ordered, I didn’t think to account for the fact that I was pregnant and only ordered a size L , so I was a little worried about how it would fit. But the fit was perfect when I received it and I even have a little room to spare. This would be a great dress to use as a cover for a bathing suit or workout clothes, in addition to everyday wear while running errands, shopping, attending casual social functions, etc. I am always a stickler for the way clothes feel. No matter now cute the outfit is, if it’s not comfortable I just am not going to wear it. These dresses are made of silky polyester and spandex with a four-way stretch. Every dress is also sewn in the USA. Isn’t this Razzle Mini-Muu just adorable? Kids dresses come in sizes XS through 3X in Young Adult. This dress is so flattering on this cute little peanut. She’s sporting a size S ( 3/4 ). 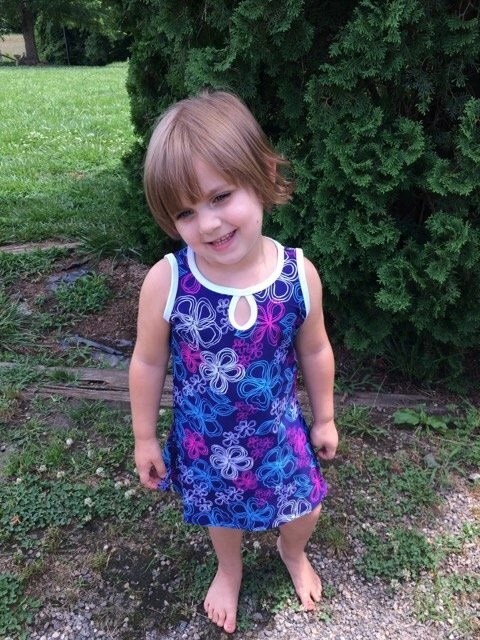 She has full range of motion in this dress and can run and play without any restrictions, not like other dresses where they catch while she’s trying to play. 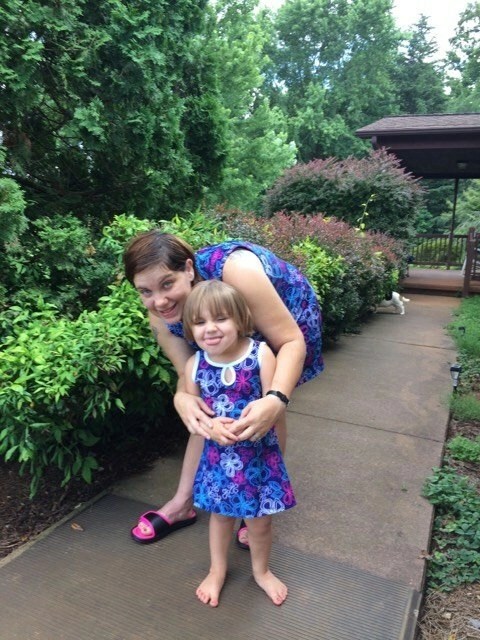 Did you know that Nuu-Muu offer mommy and me dresses? My daughter was so excited when she saw we had matching dresses. She couldn’t wait for us to both put them on and ran around telling her daddy that we were twins. These dresses are just absolutely adorable! Nuu-Muu is also dedicated to the well-being of women and girls and helping our planet. They are members of 1% for the Planet and The Conservation Alliance, to promote health and well-being. To me these are great dresses for fun or fitness. Their trendy design works for either fun in the sun or get up and go. 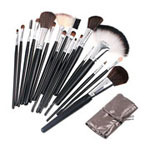 The company wants you to feel beautiful while looking great, and they care not only about the planet but making sure the economy benefits by producing right here in the USA, too. Interested in finding one of these fabulous dresses and adding one to your wardrobe? Click on over to their website or visit their Facebook page. You can find Nuu-Muu dresses in their online store or at The Grommet. Do you have an active lifestyle that Nuu-Muu dresses could be a part of? These dresses are cute! Love the colors and how they match for you both! They look very comfy too. What adorable dresses for you and your little one! I would totally wear that for myself. I love the mommy and me look! I love that the dresses look great on both of you but aren’t too childish. Love these dresses! 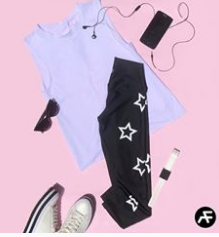 Can wear with leggings even in early fall! They look so comfortable and light weight for warm weather too. Aw! The mommy and me styles are so cute. I loved dressing up with my little girl back in the day! Aww! I love the matchy matchy look with kids! I make my hubby match my husband all the time! LOVE!